Sterile common carp seed grows upto 47% faster and yields upto30% more meat, in addition to being better resistant to diseases, than its normal sibling. This product has been developed keeping the interests of the farmer and also that of the consumer, as consumer gets more edible meat per unit weight of fish. 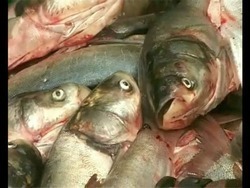 Fresh Amur Carp Fish Seeds. Amur carp is originally from the Amur river and has very fast growth rate at high stocking density. 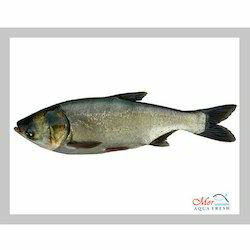 Weight of one fish 500gms to 1500gms, minimum order 600kg, one way transportation will have to be paid by consumer.